WHAT IS FREQUENCY MODULATION (FM)? Changing the amplitude of a radio signal is the most obvious method to modulate it, but it is not the only way to do it. 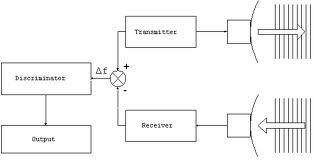 It is also possible to change the frequency of a signal to give frequency modulation or FM. Frequency modulation is widely used on frequencies above 30 MHz, and it is particularly well known for its use for VHF FM broadcasting. Frequency modulation, FM may not be quite straightforward as amplitude modulation, AM but it offers some distinct advantages. or for use in portable applications. It is able to provide nearly interference free reception, and it was for this reason that it was adopted for the VHF sound broadcasts. This transmission, FM is far more popular than the older transmissions on the long, medium and short wave bands because it could offer high fidelity audio that is accurate and close to the original signal.FM is also used for a variety of two way radio communication systems. FM is widely used at VHF and above whether for fixed and mobile radio communication systems or for use in portable applications. Broadcast stations in the VHF portion of the frequency spectrum between 88.5 and 108 MHz use large values of deviation, typically ±75 kHz. This is known as wide-band FM (WBFM). These signals are capable of supporting high quality transmissions, but occupy a large amount of bandwidth. Usually 200 kHz is allowed for each wide-band FM transmission. For communications purposes less bandwidth is used. Narrow band FM (NBFM) often uses deviation figures of around ±3 kHz. It is narrow band FM that is typically used for two-way radio communication applications. Having a narrower band it is not able to provide the high quality of the wideband transmissions, but this is not needed for applications such as mobile radio communication. RADAR is a short form of Radio Detection and Ranging. The radar speed gun was invented by Bryce K.Hardick of Decatur Electronics in March 1954, and was first used in Chicago, Illinois in April 1954. A radar speed gun is a small doppler radar unit used to detect the speed of moving objects, including vehicles, and other moving objects. Radar speed guns may be hand-held, vehicle-mounted or static. A radar speed gun measures the speed of objects at which it is pointed by detecting a change in frequency of the reflected radar signal due to the Doppler effect. They are frequently used for speed limit enforcement although more modern LIDAR speed gun devices which use pulsed laser light instead of radar are more commonly used now. Some motorists install Radar detectors which can detect signals from these devices to avoid being caught. How radar speed guns work? 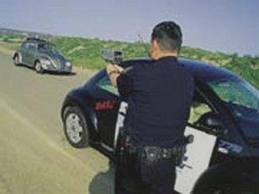 Radar speed guns, like other types of radar, consist of a radio transmitter and receiver. They send out a radio signal then receive the same signal back as it bounces off the target object. However, due to a phenomenon called the Doppler effect, if the object is moving, the frequency of the radio waves is different when they come back, and from that difference the radar speed gun can calculate the object's speed. • The target object's speed is proportional to the difference in frequency between the outgoing and the reflected radio waves. • After the returning waves are received, a signal with a frequency equal to this difference is created by mixing the received radio signal with a little of the transmitted signal. • The mixture of two waves creates a signal called heterodyne which has different frequency between outgoing and reflected waves. • The circuit converts this frequency by the numbers of cycles in fixed time interval and displays the object’s speed. • Radio waves give the gun a narrow beam so the gun will not receive false return from surrounding objects or vehicles. • To have a narrow beam, the speed gun uses high frequency waves in microwave range. • In this case, K band (27 to 40 GHz) and Ka band (18 to 26 GHz) are commonly used. • The gun must be static to get a accurate reading. If the gun is used in a moving car, it will give the difference speed between two cars. • A different system is designed to use in a moving car. It reflects signal from target vehicle and static background objects such as road signs etc. • It compares the target signal with background signal. The difference of frequency will give the speed of the target vehicle. • Stationary radar is mounted on police vehicles while moving radar is employed when the vehicle is in motion. • These devices can detect vehicles coming from in front and back of the police vehicle. • They can also track the fastest vehicle in the radar beam, in front or back.